If you’re looking for an insurance sales job that doesn’t require you to call on your friends and family, this is for you. 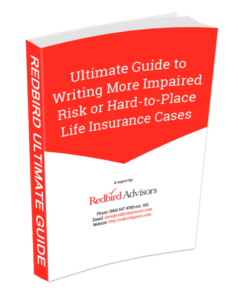 Redbird provides a place for independent agents and career changers to come and learn about the best insurance sales models available to them. We are your watch dog, your eyes and ears to help you navigate the insurance and financial services industry. You made it here likely because you’re looking for a sales job, more money, or a better work environment. How to be successful in insurance sales? How to find life insurance clients without calling my friends and family? What’s the secret to selling life insurance? How are pre-set appointments generated? What is it like being an insurance broker? How to get a medicare license? How to become a Medicare insurance agent? How to start selling medicare supplement insurance? We fully expect you to understand this opportunity in full so you can make an educated decision if this opportunity is a fit for you. Read on and submit a request to schedule an interview if you’re interested in getting 4-5 pre-set appointments per day. Want to Learn More About Pre-Set Appointments? This position is with a growing insurance agency headquartered in St. Louis, MO with a core focus of helping you learn how to sell Medicare Supplements and Final Expense insurance. They are actively looking for aspiring sales agents who want autonomy and support, structure and flexibility, a place to call home, and pre-set insurance appointments. Business model: Independent Career Agency. This means you are career to the agency and offer an entire suite of brokerage products. Company was founded in 2012 and has grown steadily in revenue and with product offerings that make strategic sense to seniors (being an independent firm, they can shop the market for life and health insurance for seniors, making the sales process much smoother). For example, if you previously couldn’t write life insurance for someone with diabetes, now you can (perk of offering multiple companies). Life Insurance and Medicare health plans are the foundation. Medicare sales training is top notch from start to finish by top six figure producers. You can quote multiple companies. Advisors focus on providing value by offering the full product portfolio to address the needs of the senior market. Process and technology driven. Every step of the sales process has been thought through and documented, all agents need to do is plugin and work the system. Below are some of the perks that make this one of the best insurance sales jobs. You are provided 15-20 preset insurance appointments per week in MO, IL, IA, AR, or KS. We are highly sensitive to lead quality and use the best direct mail programs (which are the highest quality insurance lead aside from referrals) to keep you constantly in front of interested prospects. You are armed with an iPad Pro which is tied into the proprietary agency management systems giving you real-time information about your book of business. Full-time folks at the St. Louis headquarters help you save time, deal with questions/issues, talk to your clients if necessary and generally make your life easier. Training platform is top notch and teaches you how to be successful selling insurance and build a residual income. It’s a team environment dedicated to each other’s success. Growth has positioned us well with many of the industry’s best life insurance companies to work for. In the end, only the successful companies get the good contracts. Period. If you’re talking with other firms be sure to press them on details because, we hate to say it, there is a lot of smoke going on with contracts these days. Getting contracted with the right carriers and the wrong agency is a recipe for disaster, do your homework. One of the best reasons to work the senior insurance market is the flexibility it provides. Most advisors work from home primarily because their days are full with appointments. But, join us any time in the office… we have plenty of space. We are unapologetically passionate about what we do. If you’re familiar with the Medicare and Final Expense sales world, you know there is high annual turnover because most agencies encourage their agents to make new sales rather than to retain clients (the bridge is burning behind them all the time). We believe our advisors are better served by retaining clients (and capturing the ongoing renewal income) and so is our company. Win-win. In 2017, one-third of the advisors averaged $117,000 in commission income, bonuses and renewals. And, these folks worked, on average, about four days a week. This is one of the few six figures sales jobs St. Louis offers that doesn’t require the extensive travel you might find in other fields. 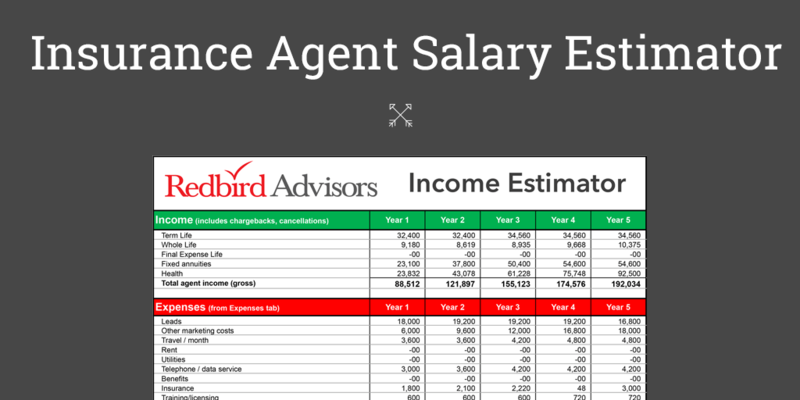 If you’re curious how many sales it takes to make six figures in the insurance business, play around with the Redbird insurance salary estimator tool before your interview. What is it about the top producers that makes them successful? Customer Focused: Embrace the concept of service along with sales. Independent minded: Have an edginess that keeps them motivated. Self-starter: We never have to push them. Demand control: Ecstatic using the Ipad sales system. It was one more way for them to maintain a firm grip on their world. Coachable and Eager to Learn: Realize change happens fast and aren’t afraid. Technically Astute: Embrace technology to become more efficient. Career Minded: Want to build something special for themselves. Professional: Treats their business like a career and not just a job. To be brutally honest, few people we speak with are right for this opportunity… not because they can’t do it, but more because they don’t want to put in the time to become an expert. You have to be committed to learning something new every day. The technology, culture and passion for helping people is why these advisors consider this one of the best sales jobs. St. Louis is home base, so if you’re local, request an interview and learn more about this competitive opportunity. Combing through the sales jobs St. louis has to offer can be extremely frustrating, so we hope you’ll request an interview and see for yourself why we believe so strongly in this opportunity. Experienced or not, that’s okay. Complete our short questionnaire and let’s chat. Yes, I would like to schedule an interview.